Berthe Morisot is commonly recognized as one of the most influential female painters of the 19th century. Morisot's critical reception as an artist has always been entwined with her identity as a woman, which is important when considering the confined gender roles of the 19th-century. Morisot's art focused on her feminine perspective of society and people have rightly taken this into account when analyzing her artwork. During her lifetime her critics praised her for the domestic settings of her paintings. In the second half of the 20th century there was a renewed interest in Berthe Morisot and several important books were written about her contribution to Impressionism. 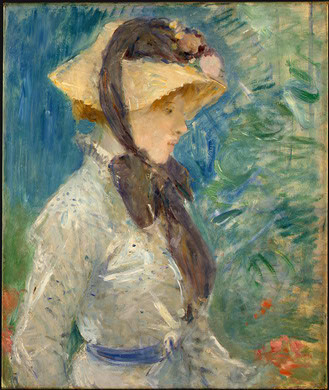 Although Berthe Morisot faced criticism simply for being a professional woman from the bourgeois class, critics widely praised her choice of subject matter. 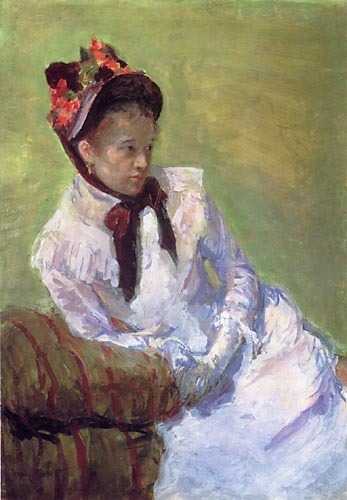 Whereas Morisot's rival Mary Cassatt was condemned for her masculine manner, some critics were willing to overlook Morisot's subversive painting techniques because she revealed traditional feminine scenes in her work and was considered a talented enough painter to exhibit her work in the Salon de Paris between 1864 and 1870. At the Impressionists first showcase in 1874 the group was famously criticized by both the public and academics alike. 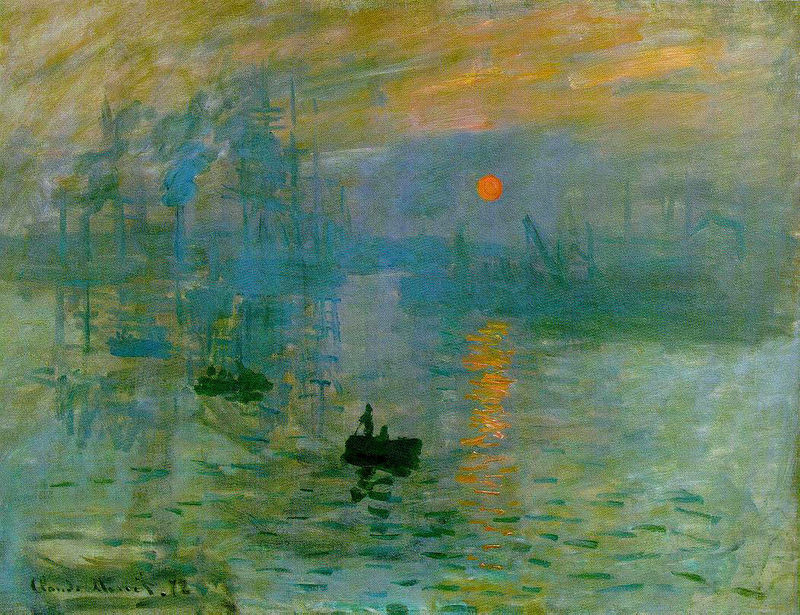 Critics disliked the style they mockingly referred to as Impressionism and the public's reaction was antagonistic. Although thirty artists were exhibiting, Berthe Morisot, along with five others, was recognized as one of the central Impressionists and observers immediately placed her at the forefront of the movement. Although Morisot was marginally protected by her upper class status, she was still condemned by the public. This was partly for being a woman and partly for the style of paintings she executed. In March 1875 while Morisot was auctioning off pieces of work alongside painters such as Renoir and Manet, she was famously jeered and called a harlot by the waiting public. In response Camille Pissarro punched the offending man. Despite the drama, Morisot outsold her male colleagues. Regardless of Morisot's friendships and successes within the cultural sphere it was her first solo exhibition in 1892 that fully raised her profile and demonstrated her skill at portrait, interior and plein-air paintings. Morisot was commended for producing graceful works, which many attributed to the feminine perspective she brought to her craft. The incandescent condition of Berthe Morisot's compositions was extolled for its gradual movement between shades and she was much admired for the personal aspects of her work. Although Morisot painted in a highly modernized style, her subject matter continued to concentrate on her family, friends and her beloved village, Passy. After her death in 1895 Berthe Morisot's many obituaries hailed her as one of the greatest female painters to have lived. Although some initially considered her merely a protégé of Manet, many art fans recognized Morisot's work as artistically individual. For example Manet's heavy use of black did not materialize in Morisot's work. 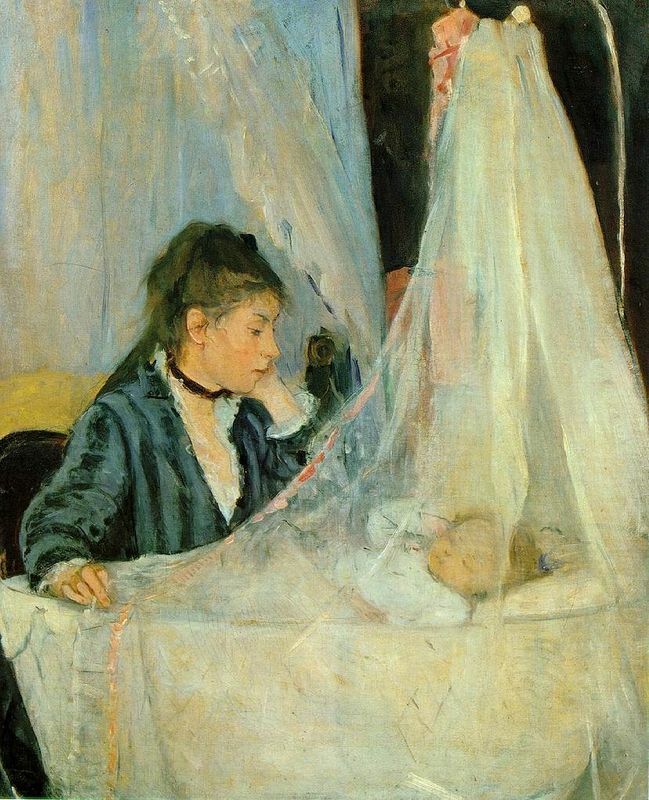 However Morisot quickly lost her prominence and impressive critical reception after her death and until the 1980s she did not receive a great deal of attention. In the late 20th century there was a resurgent interest in Morisot's oeuvre and although she has never received the same household recognition as painters such as Monet and Renoir, she is recognized as one of the prominent Impressionists. Some of her works have sold for as much as $4 million.